Somehow, Baltimore ends up in next-to-last place on WalletHub’s list of Most Pet-Friendly Cities, but when you look at how much green space the city has and how many affordable houses have great yards, you shouldn’t be discouraged about your pup’s happiness in the city. More than 100 years ago, Baltimore wanted to become a city of parks connected by green, tree-lined boulevards, so today, no matter where you go, you’ll find a great place to get outside with your dog. 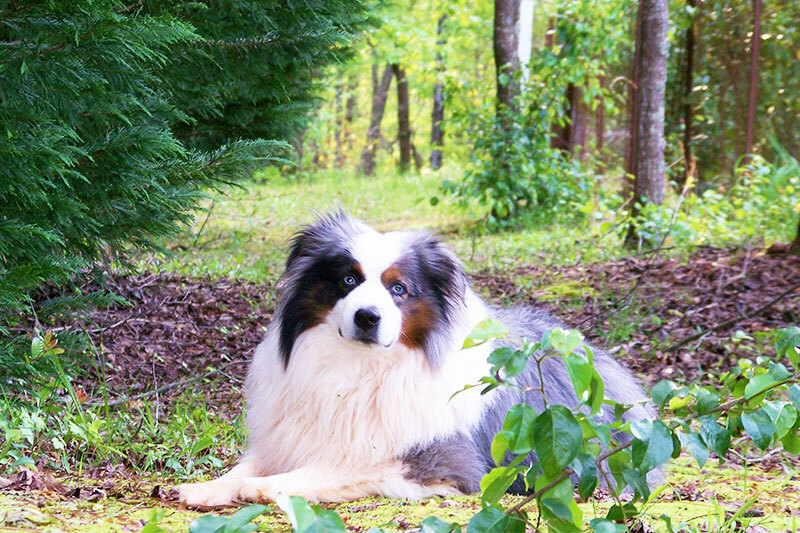 Here are the six neighborhoods that’ll make your dog smile. Locust Point makes a great home for people and pups alike, and you’ll find many fellow dog-owners here. The paved trail around Fort McHenry has beautiful views of the inner harbor, while Latrobe Park not only has a fenced dog park, but also a dog water-slide. Riverside Park and Federal Hill Park are also within walking distance, as are two veterinarians. 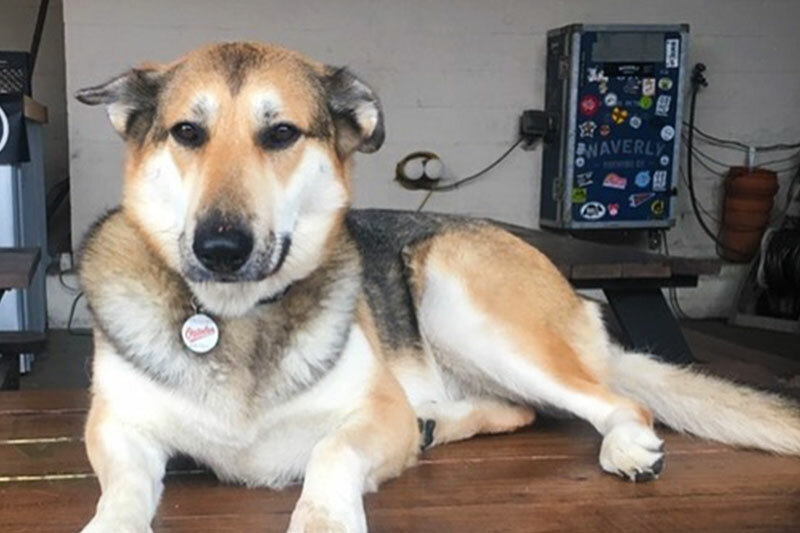 Locust Point and the surrounding neighborhoods of Federal Hill and Riverside all have restaurants, bars, and cafes with outdoor seating you can enjoy with your dog, including Diamondback Brewing Company. 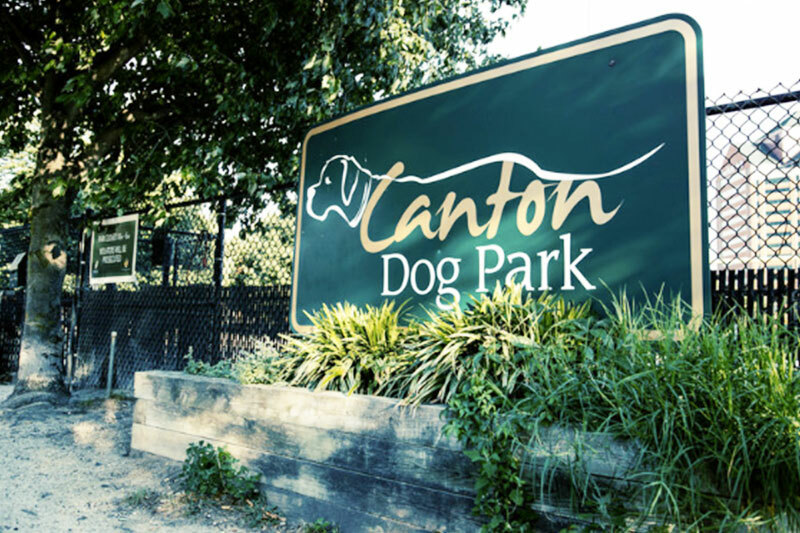 On the other side of the river from Locust Point is Canton, which also has the benefit of great walking spots like the Baltimore Waterfront Promenade and Canton Waterfront Dog Park. On warm nights, you’ll see lots of joggers and walkers out with their dogs, maybe heading for the dog-friendly happy hour at the BoatHouse Dockbar and other waterfront restaurants with outdoor seating. 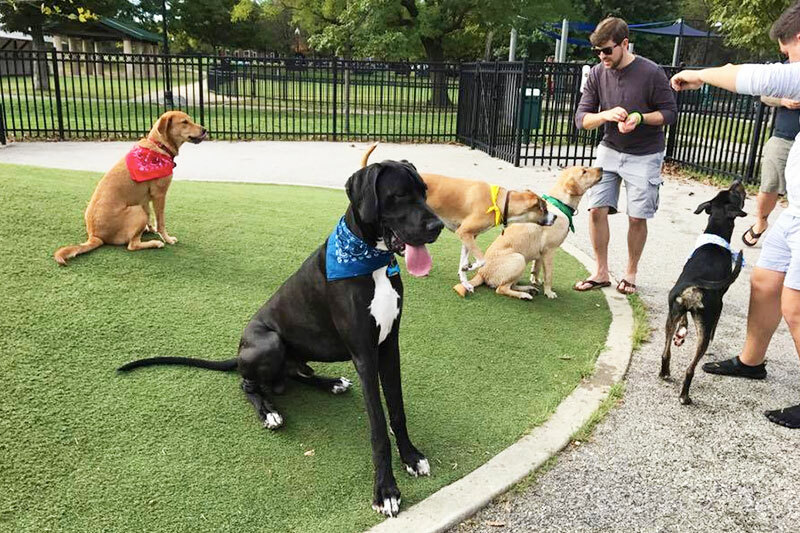 The other side of the neighborhood is bordered by Patterson Park, which has a large dog park—divided into separate sections for small and senior dogs and large dogs—and plenty of walking paths. There are two veterinarians in the neighborhood, and one in nearby Fells Point. On the northside of town, Lauraville is full of affordable single-family homes perfect for pet-owners. The affordable bungalows built mostly in the 1920s have spacious lawns, and the whole neighborhood is bordered on the southern side by Lake Montebello and Herring Run Park which has great places to walk your dog on a leash. The locally-owned pet supply store Mutt Mart is also in the neighborhood, a friendly place to get dog training, nail-clipping, and pet food. 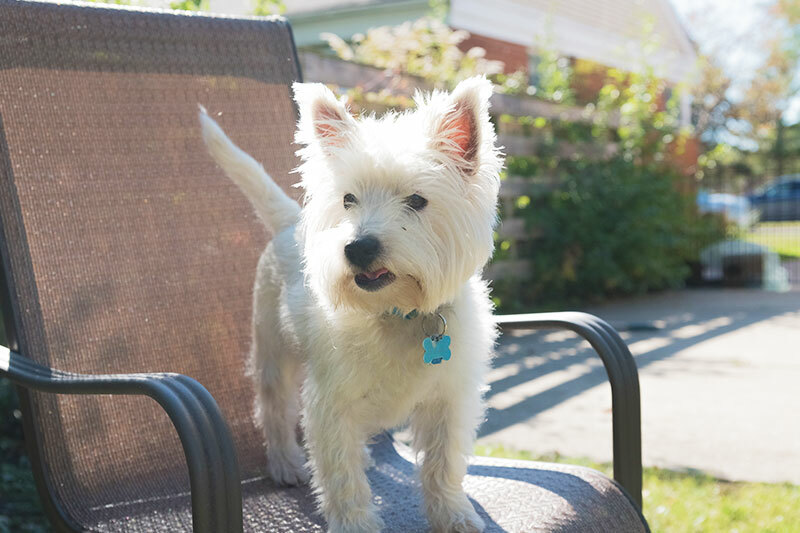 Hampden has become one of Baltimore’s most popular neighborhoods, and with easy access to so many green spaces, it’s a great place for dog owners too. Roosevelt Park is right in the neighborhood, while just outside the neighborhood the Druid Hill Park is great for long dog-walks. While there aren’t lots of restaurants with outdoor seating, Waverly Brewing Company and Union Craft Crewing both have pet-friendly outdoor seating, and Blue Pit BBQ’s back patio has complimentary doggy treats. There is also a walk-up taco window at Golden West Cafe, in case you need to get food or a coffee while out for a stroll with your pooch. Hampden is also home to the Maryland SPCA, where you can get affordable veterinary care or adopt another pet that needs a home, and two pet supply stores, Howl and PetValu. Mt. Washington is a great neighborhood for a family with pets. Lake Roland Park (technically part of Baltimore County) has over five miles of wooded trails and is home to Paw Point, a gated off-leash dog park. The area also has three veterinarians, including the Falls Road Animal Hospital with 24-hour emergency care. The suburban-style streets and single-family homes in Mt. Washington also give your dog plenty of space to be outdoors.